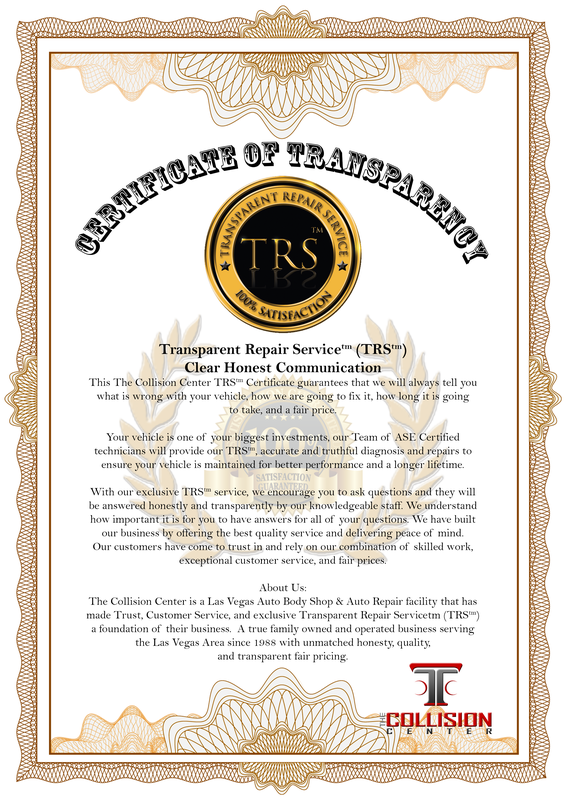 TCC’s Hi-Tech Auto Body Shop Reviews – We do what we say we will do! The Collision Center – HiTech Auto Body Shop; We do what we say we will do. 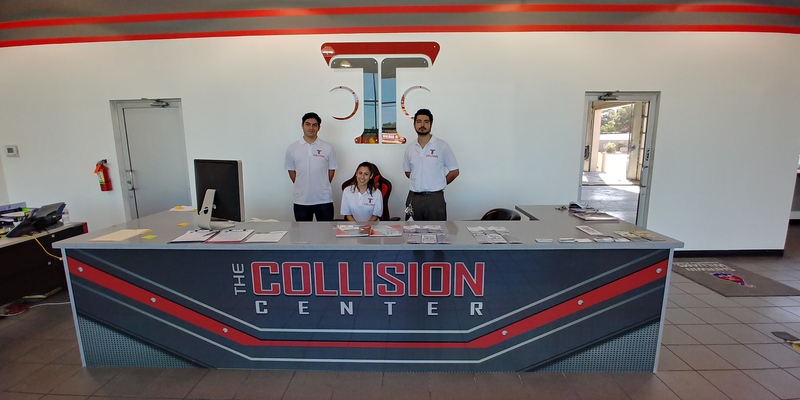 The Collision Center is a brand new, hitech auto body shop, which is family owned, operated, and serving the Las Vegas and surrounding valley. Our family has auto body shop experience since 1988. Why should that be important to our clients? It’s important because of how we treat our clients. We don’t just write or say we will go the extra mile, we do it and are proud of it! We treat our clients the way we would want our family to be treated. The Collision Center Hi-Tech Auto Body Shop – Come in to our beautiful new facility where we will treat you like family! I rarely write reviews but I really want people to know about Vigen and his Dad’s body shop (they also have a mechanic shop at another location). Vigen went above and beyond to make sure the whole process of the repair be painless and stress free…he dealt with the insurance company to approve the estimate and car rental, when I dropped off my car he coordinated with the car rental company for a car and had them pick me up, and when I returned the rental they dropped me off at his shop to pick up my exceptionally clean and perfectly repaired car! He and his staff are awesome…friendly, professional and communication is great. Can’t thank Vigen and his staff enough for all that they did! I am so thankful to have found The Collision Center! I am a UNLV student who accidentally rear ended someone and needed to get my car fixed fast and for a very affordable price because I was too embarrassed to tell my parents about it! The owner, Vigen, made my car look pretty and new in just 2 days and all for a really great price. I have already recommended this shop to the girl that I accidentally rear ended and to a coworker of mine. I will continue to recommend this shop because of the great work and customer service Vigen provides! We treat every client like family! If a female member of our family was in need of vehicle body work, for whatever reason, we would hope they would receive the same amount of family service we gave to Luci H. and Raquel I. We treat every client with honesty, and give the quality everyone gets and deserves. The bottom line is that with The Collision Center you have a family member in the business! At The Collision Center we think you the customer, deserves to know what is wrong with your vehicle, how we are going to fix it, and how long it is going to take. We encourage you to ask questions and they will be answered honestly and transparently by our knowledgeable staff. We understand how important it is for you to have answers for all of your questions. We have built our business by offering the best quality service and delivering peace of mind.